Introduced as a nasty surprise to the RAF Spitfire Mk V in the Dieppe operation, the Fw 190 wrested control of the air from the RAF. Focke Wulf FW 190F-8 (Wk Nr 93182) had a combat history while serving in JG 5 stationed in Norway. This Focke Wulf Fw 190F-8 “White 1” was constructed at Norddeutsche Dormier Werke in early June 1944. The Luftwaffe immediately threw the aircraft into combat supporting ground troops of the Wehrmach that were under heavy pressure from the Red Army. The aircraft’s last mission was flown during the Battle of Fordefjoird on February 9th, 1945. 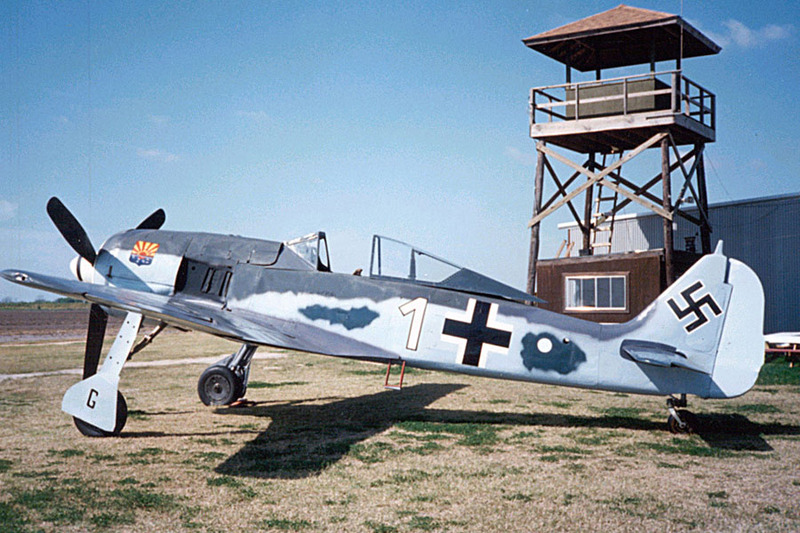 Fw 190 F-8, Wk Nr 93182, from JG 5 “White 1” was piloted by Unteroffizier Heinz Orlowski. “White 1” was in the first group of 9 Fw-190s attacking the British raiders’ consisting of 32 Beaufighters and 10 Mustangs. The Beaufighters suffered heavily at the hands of the Focke Wulfs. Near Gaular, Norway terrified civilians witnessed a Beaufighter being pursued by “White 1”. The Beaufighter was hit several times and tried to land on a slope, but the terrain made this impossible. 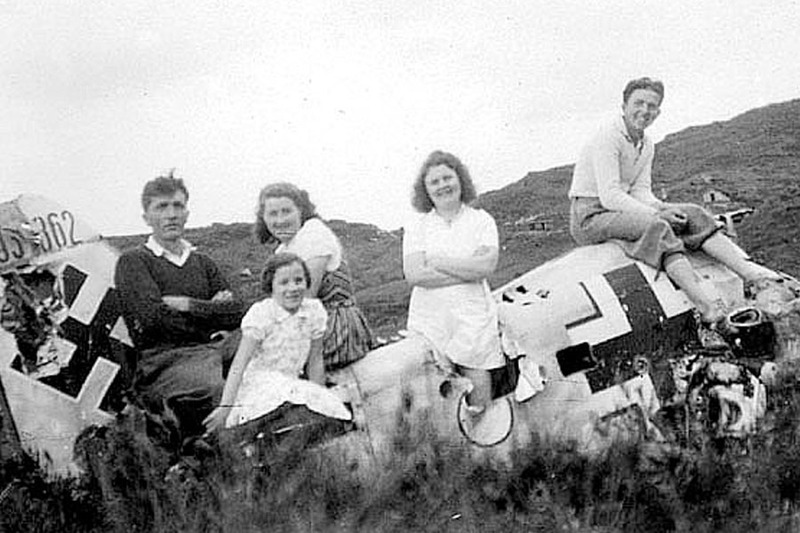 The plane broke in half during the crash and the crew perished (Flight Officer Knight and Flight Officer Lynch). A single Mustang tried to help out, and attacked the German fighter. A long aerial duel commenced. The Mustang was hit and caught fire. Its pilot made a wide turn out over a fjord. According to eyewitnesses, the pilot must have been badly wounded. But, instead of bailing out he continued to fly his P-51 Mustang toward the attacking enemy. The Mustang crashed in a pine forest. P-51 pilot Cecil Claude Caesar perished in the crash. It was the only Mustang loss of this battle. The German fighter “White 1” was also in great trouble. His engine had been severely damaged and the pilot Orlowski was forced to bail out. He was too close to the ground for his chute to open fully. Orlowski survived the fall by hitting a cushion of deep snow. A small avalanche carried him to the bottom of the valley. During the journey down, his flare gun went off causing severe burns. Local Norwegians took him to the hospital. Heinz Orlowski survived the ordeal. His crashed Fw 190 “White 1” (Wk Nr 93182) sat lodged into the snowy Norway hillside for more than twenty-five years. Discovered in the 1970’s but kept quiet, the wreckage sat until salvage began in September 1983. Wk Nr 931682 was recovered from the crash site in Norway and taken to the Royal Norwegian Air Force Aircraft Museum at the Flesland Airport. 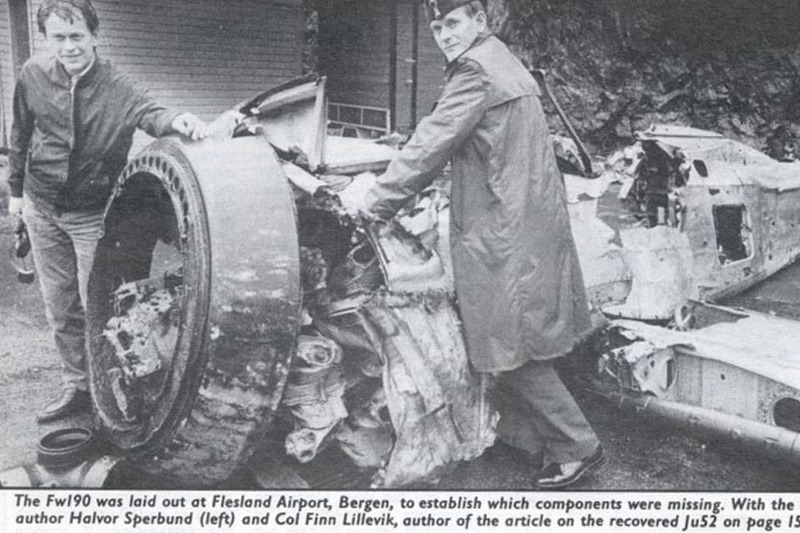 The West Norwegian Air Historical Group was the driving force behind the initial salvage. 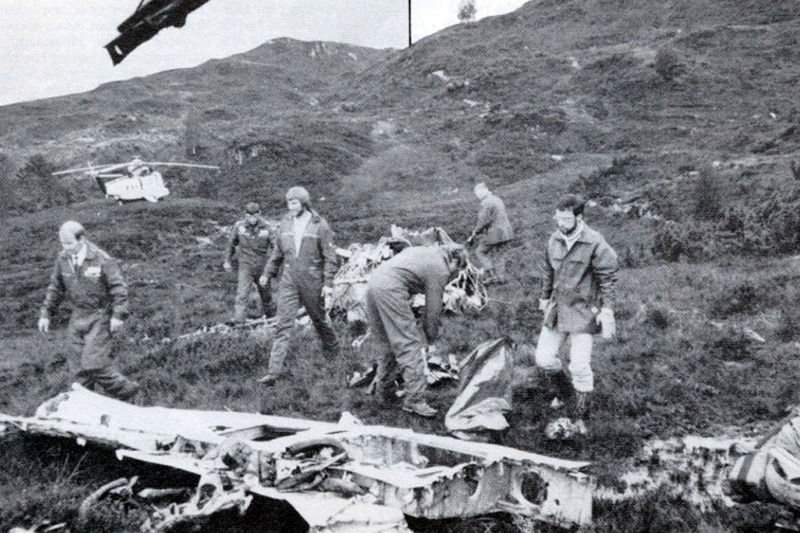 Running low on funds, the Norwegian Defense Museum was able to secure several sponsors to pay for the Fw 190 extraction from the crash site to Bergen via a heli-lift operation. Eventually, leadership changed at the Norwegian Defense Museum and the directors decided to pass the restoration project on to the Texas Air Museum in the United States. In 2012, the Collings Foundation took over the “White 1” Fw 190F-8 and “Long Nose” Fw 190D-9 restoration projects from Mark Timken and WWII Fighter Aircraft Foundation / White 1 Foundation. To restore these fighters to flying condition is far more challenging than restoring a P-51 Mustang or even a B-17 Flying Fortress. Every component is extremely rare or even nonexistent. We hope to have the F-8 and D-9 restorations completed within the next 2 – 3 years.